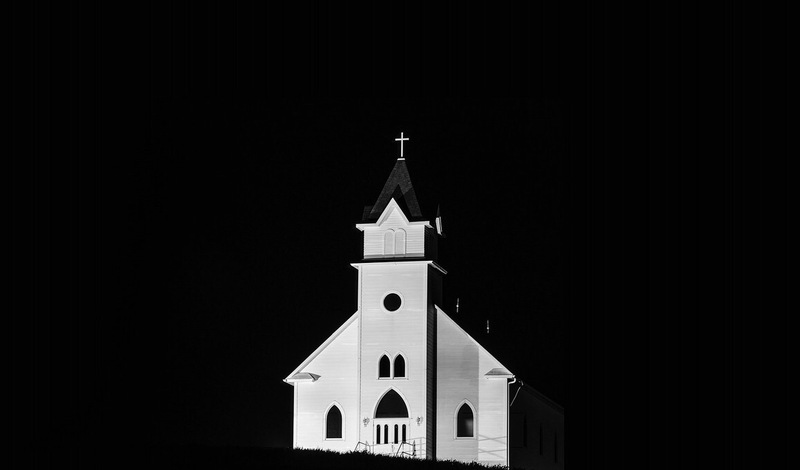 Catholicism | Domine, Quo Vadis? “God does not call the qualified, he qualifies the chosen.” This is something that over the past several months, I have had to remember. I am not perfect, nor will I ever be. I’m an ordinary person. Some might try to make me sound or feel more qualified than I truly am, while others (including Satan) will try to tell me that I am a wretched person who has no future. Neither of these are true. While I can be striving for greatness, I am not there yet. There is only so much I can do outside of an environment conducive for formation. 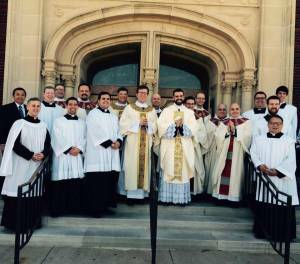 Last week, I was accepted as a Seminarian for the Archdiocese of Oklahoma City. 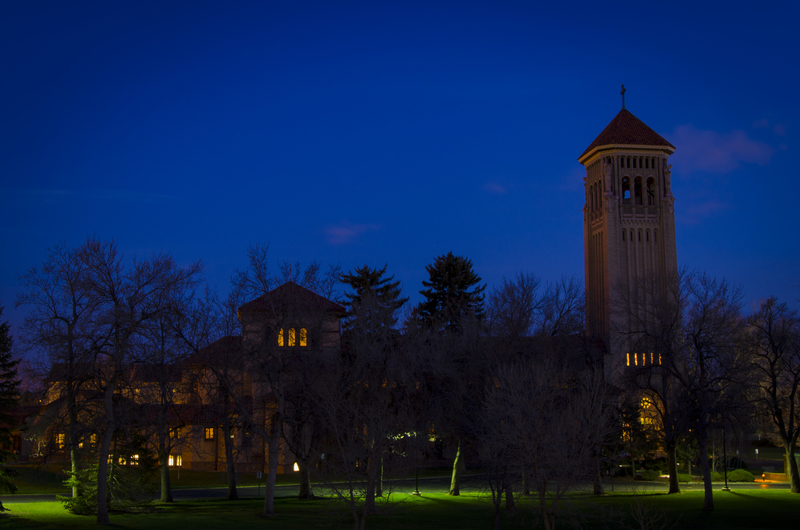 I have been assigned to attend St. John Vianney Theological Seminary in Denver, Colo. I will begin studies there in August. Since many might wonder what the next step of the journey is, I thought I would try to explain things to the best of my ability. Following Spirituality Year, I will go through two years of philosophical studies, which will give me the proper foundation for the following four years of theological studies. If it is God’s will, I will be ordained to the priesthood after my fourth year of theology. Your continued prayers are requested over the coming years, as I seek to do God’s will. Over Thanksgiving Break, something really interesting happened. My Uncle Matt from Florida came to visit, which was not out of the ordinary. He was married to my aunt (my Dad’s sister) and Godmother, who passed away from lung cancer in January of 2005. According to his story, my aunt had bought a rosary for me that she intended to give me for Christmas in 2004, just a few weeks before she passed away. It was one of the first times in several years that they had not traveled the long journey to McAlester for Christmas. 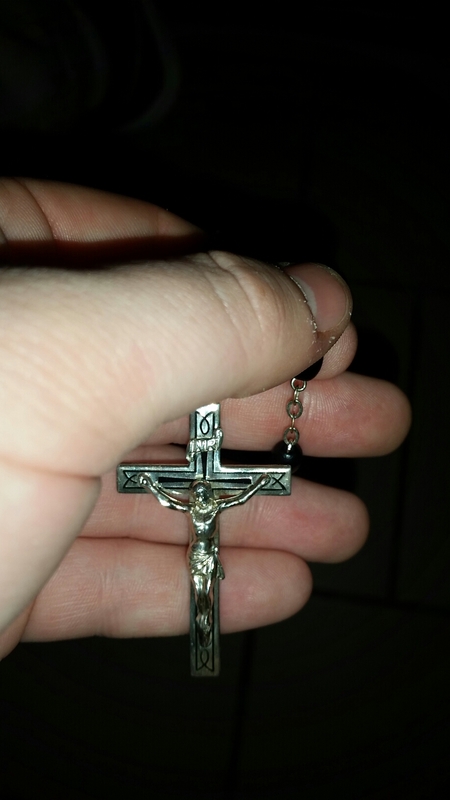 He found the rosary in a drawer. Anyway, fast forward 10 years. I am a senior at OU preparing to graduate in May and discerning the priesthood. 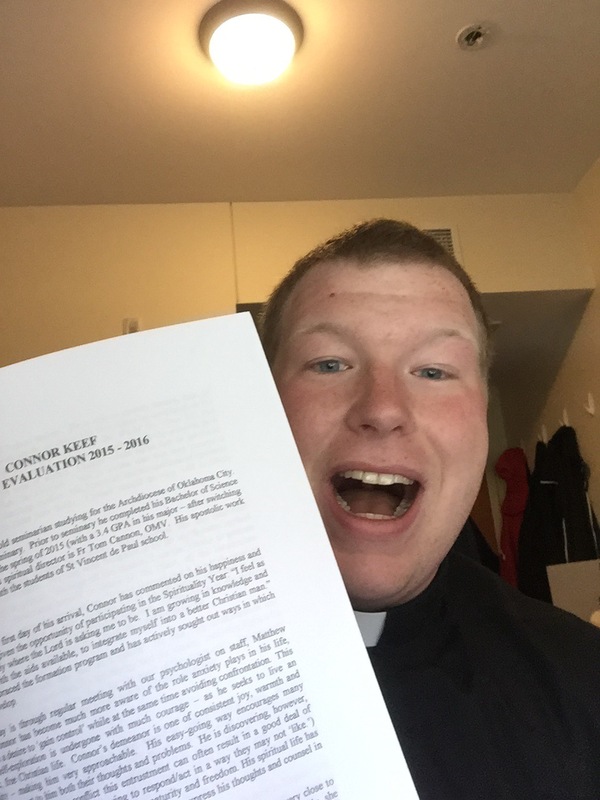 In fact, I have completed the application process to become a seminarian and am playing the waiting game. Out of the blue, I receive a rosary from my Godmother! Of course, I have several rosaries already. Why would I need another one? For some reason, it really got my attention. Sure, this could very easily be a coincidence, but I don’t feel like it is. I am in a very important stage not only in my faith journey, but in my educational journey as well (it is Dead Week right now). Somehow (obviously), God knew that I needed that rosary now rather than then. But he didn’t want me to just have, he wanted me to use it, too. Moral of the story: talk to Mama Mary. She can help you through all of life’s triumphs and tribulations.